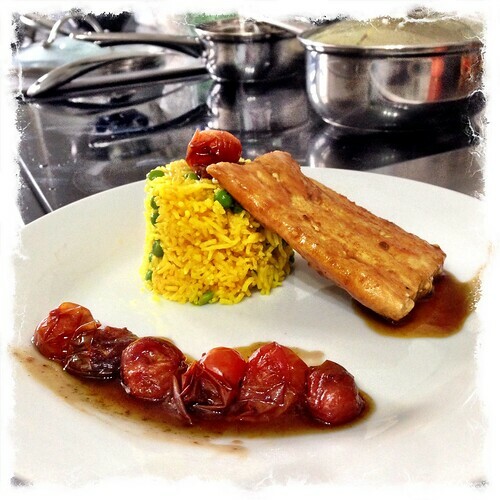 Another beautiful Italian recipe direct from the grand master of Food Tube – Gennaro. These simple Arancini are a great way to use up left over Risotto Bianco and make a fantastic meal in themselves. 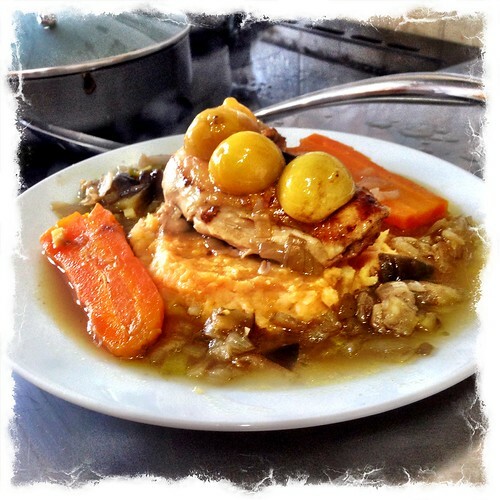 This entry was posted in Cooking and tagged Gennaro Contaldo on November 29, 2013 by Richard. 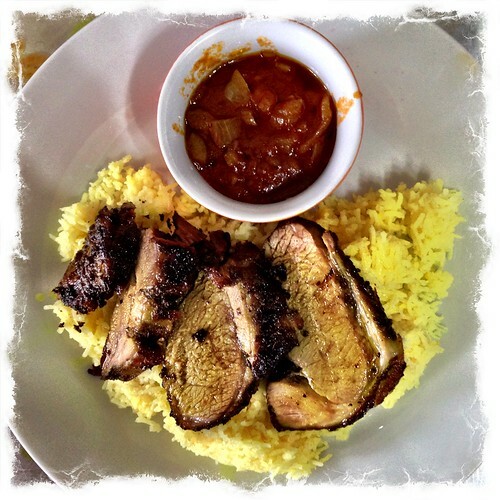 Simple, healthy and very tasty. 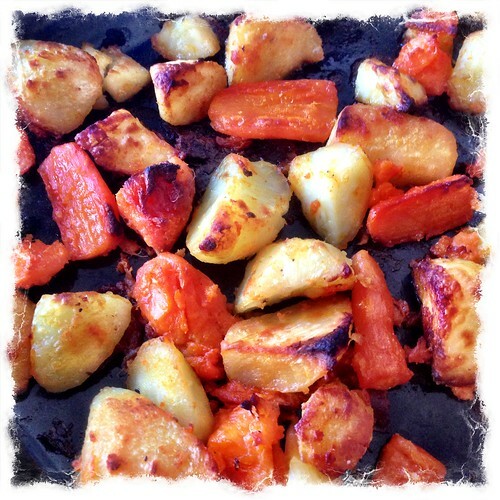 Roasted Vegetable Curry. 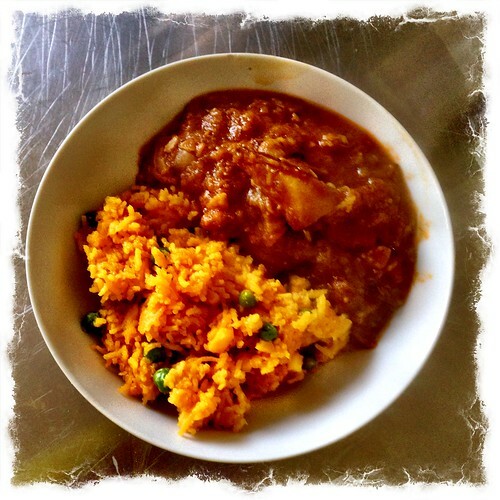 This entry was posted in Cooking and tagged Cooking, Curry on November 29, 2013 by Richard. 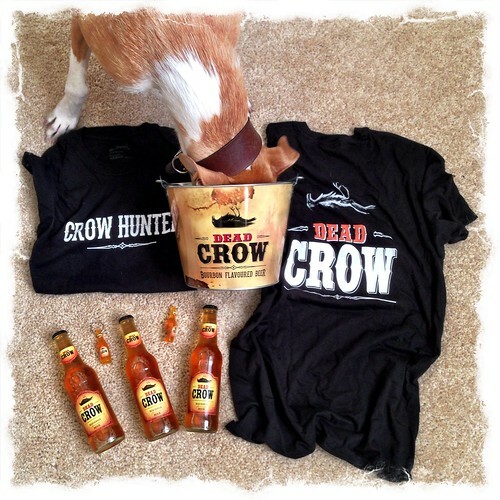 Dead Crow Bourbon Flavoured Beer – I won it! Free Beer. I won 3 bottles of Dead Crow Bourbon Flavoured Beer, 2 t-shirts, 2 key rings and an ice bucket from a One Stop Stores competition on Facebook. The t-shirts will come in handy and the ice bucket will make a good pot for an indoor plant. I’ve yet to drink the beer and it will live in the fridge for a while and I will post a separate review of it later. Total prize value to date: £81 (from 1st September 2013). 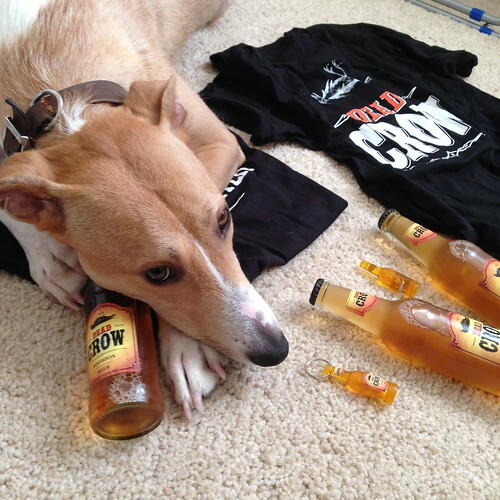 This entry was posted in Stuff I've Won and tagged Dead Crow Bourbon Flavoured Beer on November 29, 2013 by Richard. Summer may be a distant memory but I can still find time for a cold pint of cider. My luck was in the other day while shopping in Lidl, because they had Henry Westons Cider for sale. Happy Days, that could only have been better if it had been the Vintage Henry Westons Cider. 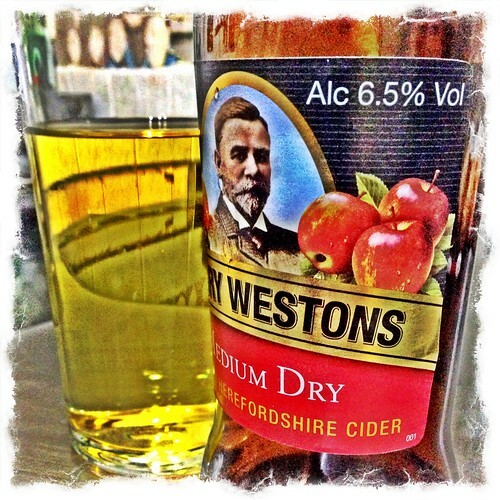 This entry was posted in Cider Adventures and tagged Cider, Cider Adventures, Henry Westons on November 28, 2013 by Richard. 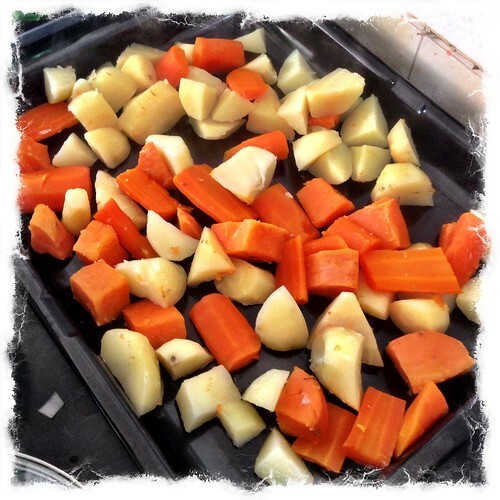 At just over £12 for 15kg, including delivery, it seemed excellent value for money. Most of the well-known brands of dried dog food are priced at £40-50 for 15kg (excluding delivery) and most of them have very mixed reviews. My bet is that they contain pretty much the same ingredients. 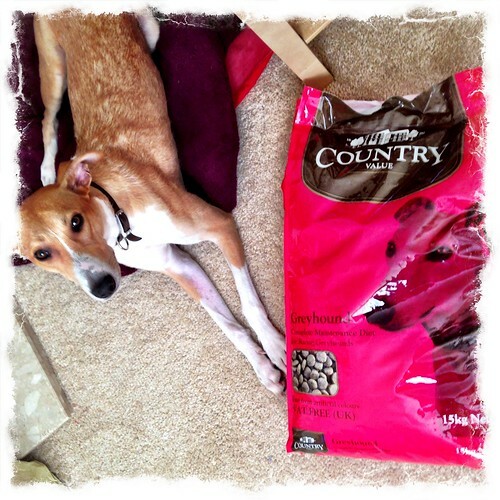 After a month of feeding Country Value Complete Dry Dog Food to our Lurcher, he seems fine. His coat is shiny, and his muscle definition is the same as it was before we tried him on this food. To make it clear, our dogs diet does not consist solely of dry food. I supplement his diet with fresh meat (cooked), salmon, and a number of other homemade food stuffs, just as I did when we first got him and were feeding him one of the premium expensive brands. This entry was posted in Barley the Lurcher and tagged Dog Food, Greyhound Food, Lurcher Food, Pet Food on November 27, 2013 by Richard. It is nothing to whine about. For a budget wine, it was very acceptable. And these days most of us have to be budget conscious. 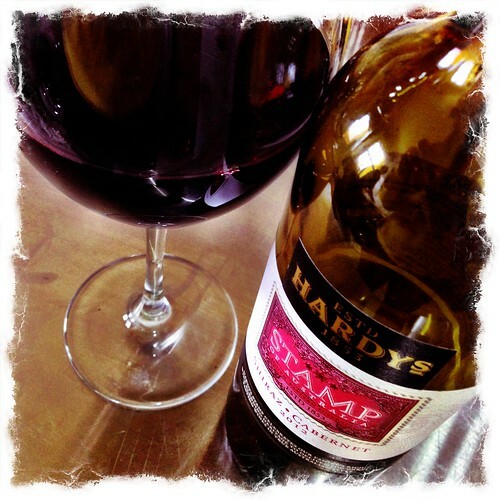 This entry was posted in Wine Adventures and tagged Hardy's Shiraz Cabernet, Red Wine, Wine on November 25, 2013 by Richard. The Borgias – Season 3 DVD – I won it! Happy Days. 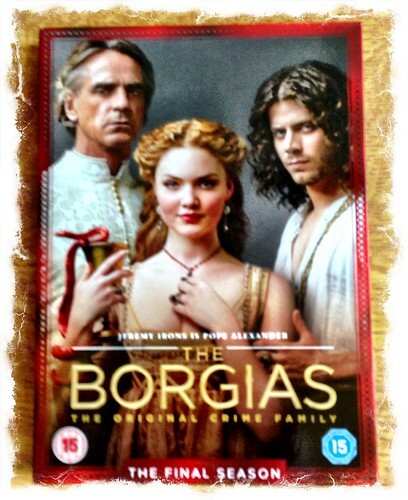 I won a copy The Borgias – Season 3 on DVD. I’ve never seen it before and I hope I can get into because I’ve not seen season 1 and 2. I will now go onto the pile of ‘stuff to watch and after it is watched, into the box for donating to the Stray Aid charity shop in Easington Colliery. Total prize value to date: £61 (from 1st September 2013). This entry was posted in Stuff I've Won and tagged The Borgias on November 25, 2013 by Richard. 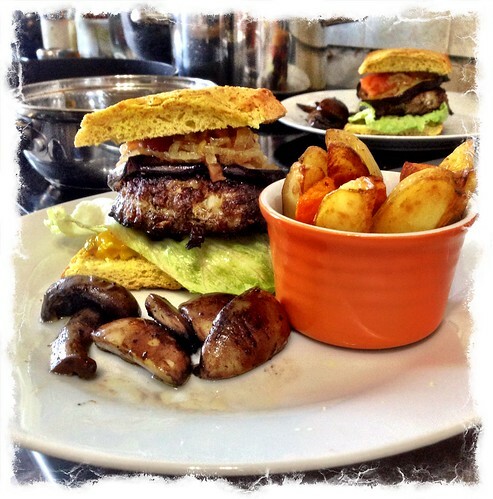 I’ve had a busy week in the kitchen at Casa Randall. 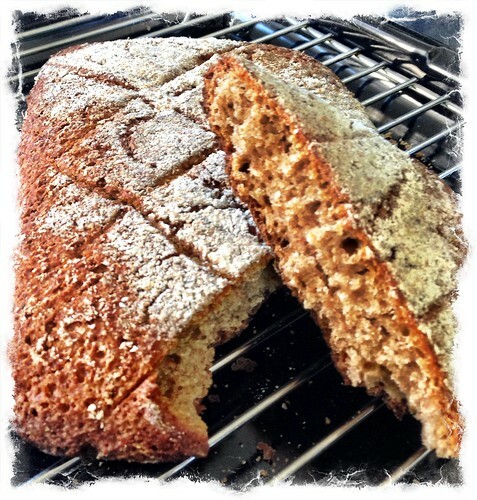 This entry was posted in Baking, Cooking and tagged Baking, Bread Making, Cooking, Food on November 25, 2013 by Richard. This recipe is Sicilian inspired — based on pasta with sardines – but I use something from the English larder, smoked mackerel. 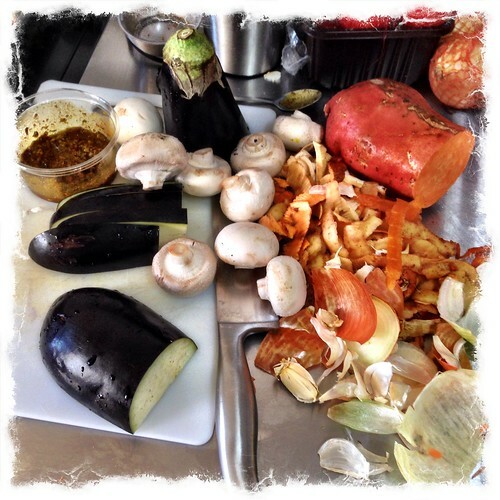 And although it’s incredibly simple to make, the flavours are so complex it’s very rewarding to eat. 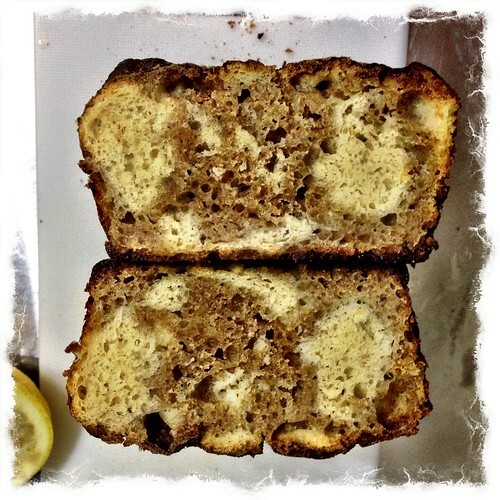 This entry was posted in Cooking and tagged Nigella Lawson on November 24, 2013 by Richard. Barley, our rescue Lurcher, moults – a lot. Our house is covered in his hair, and poor Mrs.R is forever whizzing round with the vacuum cleaner. It only takes a few seconds after the hairs have been vacuumed away, before they’re back again covering every flat surface. Mrs.R had heard about a grooming brush that sounded as though it would help with our moulting mutt. The grooming product is called the FURminator, which claims to reduce shedding by up to 90%. We decided to purchase a FURminator deshedding tool to give Barley a thorough combing, to help get rid of his excess hair. As soon as the FURminator was delivered Mrs.R wasted no time ripping open the package before she got straight to work with gusto. Whilst reading reviews on the FURminator Mrs.R showed me several photos of various dogs whose owners had used this grooming brush on their pets. Each photo showed a big pile of excess fur, and some had even managed to fill a carrier bag with their furry friends hair. Barley didn’t seem to mind being thoroughly brushed, he was very chilled during the process, in fact we think he liked it because he laid on the floor and nodded off for a while. As it was his first time being groomed with the FURminator Mrs.R didn’t prolong the experience, so she didn’t quite fill a carrier bag with fur, but she did get a decent amount of hair off of Barley, hair that would have found its way onto the sofa. 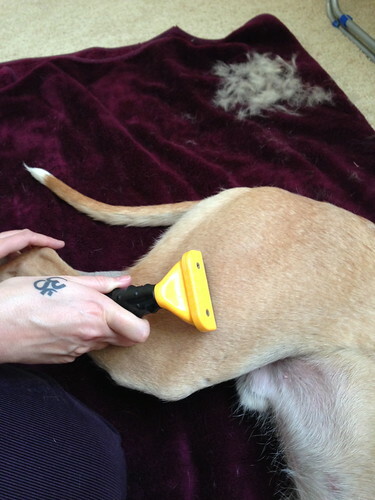 The makers suggest using the FURminator weekly, which is what we’ll do, if Barley is feeling cooperative. Hopefully with further use there will be far fewer hairs all over the house. 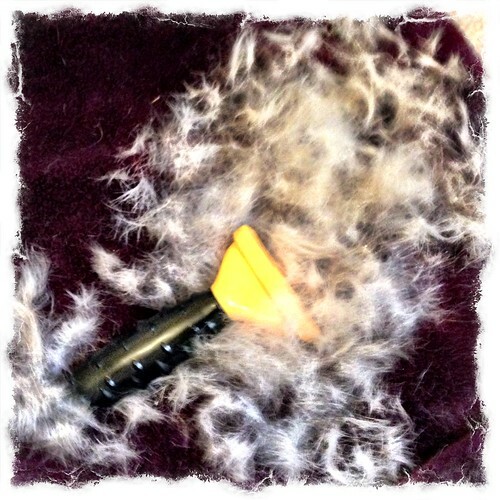 But even after just one use we are impressed with the FURminator, we’re pleased we purchased it, and recommend it. It only took a few minutes for Mrs.R to comb a lot of excess hair off of the mutt. After his thorough combing with the FURminator, his coat looked even more shiny than usual, and it felt silky smooth. Mrs.R said maybe she should knit Barley a jumper using the fur, but then she remembered that she’s not good at knitting. 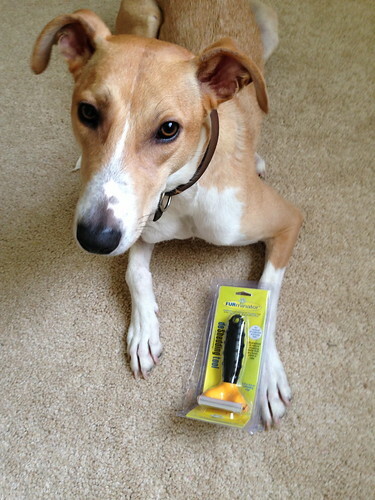 This entry was posted in Barley the Lurcher and tagged Furminator on November 24, 2013 by Richard.